This is the Protoform 1971 Pontiac Firebird Trans Am VTA Body. Vintage Trams Am class racing has taken off in the past few years as an opportunity for racers to break in to on-road R/C, providing close racing, scale realism and warm and fuzzy feelings of the good ol’ days of American road course racing. 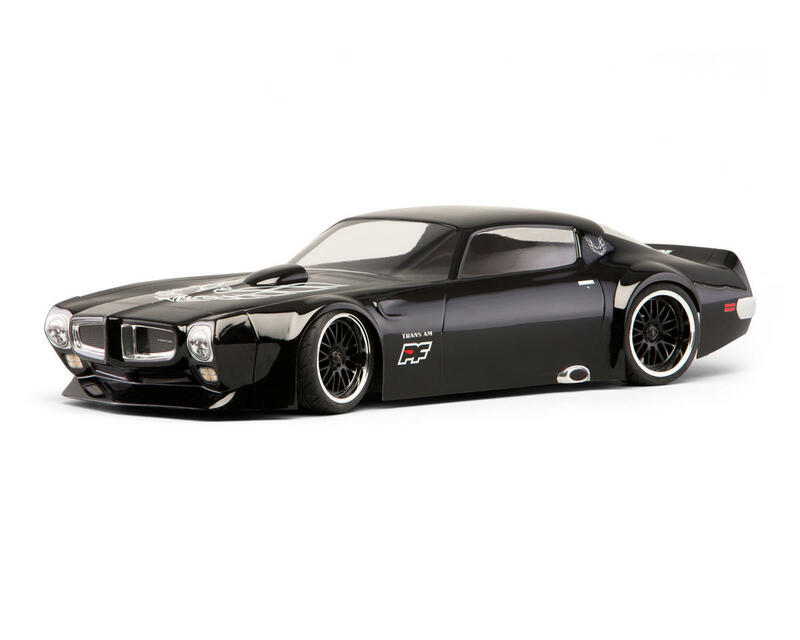 The Pontiac Firebird Trans Am was one of the signature cars of the former full-scale series, and now PROTOform has captured its trademark look in the release of the 1971 model for your VTA class R/C Touring Car. From its aggressive front “beak”, to the duck tail-style rear spoiler, to the mother of all macho items, – the shaker hood scoop – no detail was overlooked. 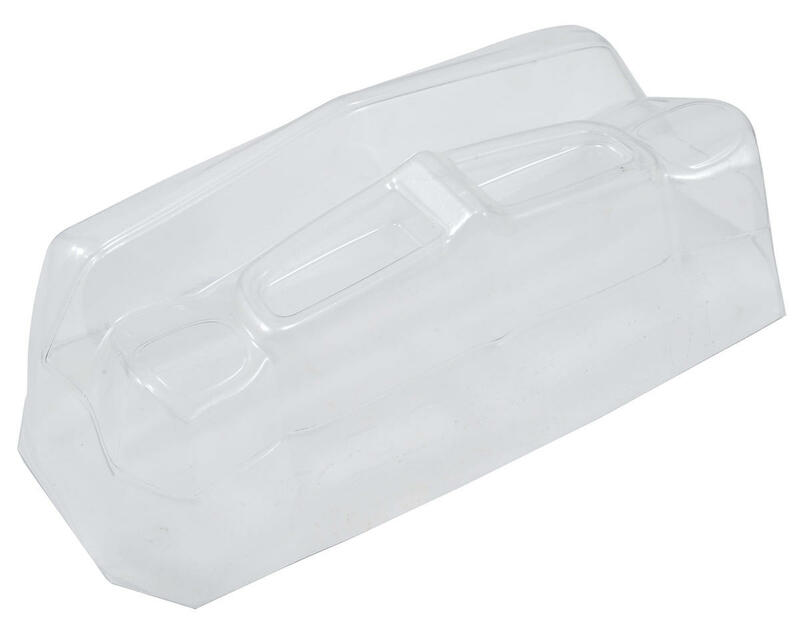 The front nose cone is molded separately, and when mounted with the 2mm screws and/or liquid adhesive, it becomes an integral part of the body. Because this area of a race body is the most prone to racing wear and tear, a second nose is included. 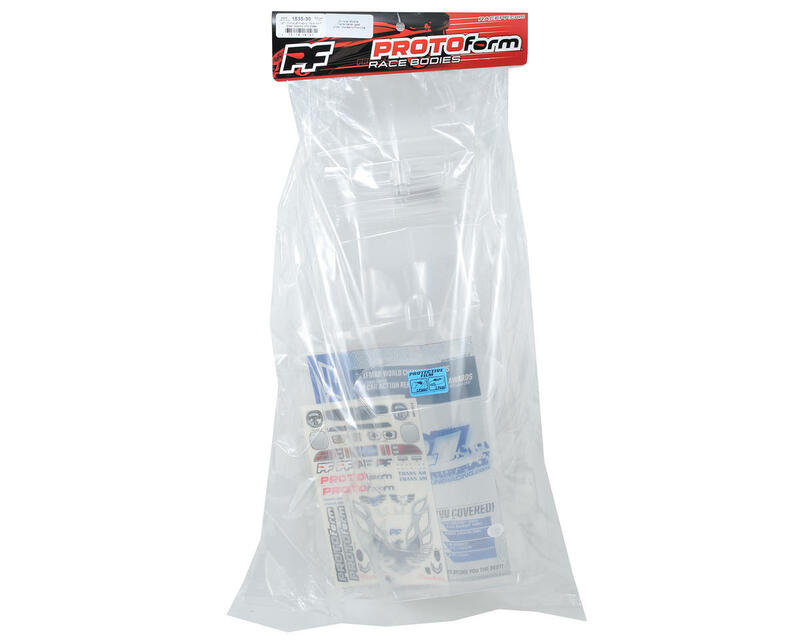 This officially licensed product is produced in genuine .030 Lexan® material and meets all VTA Class rules. 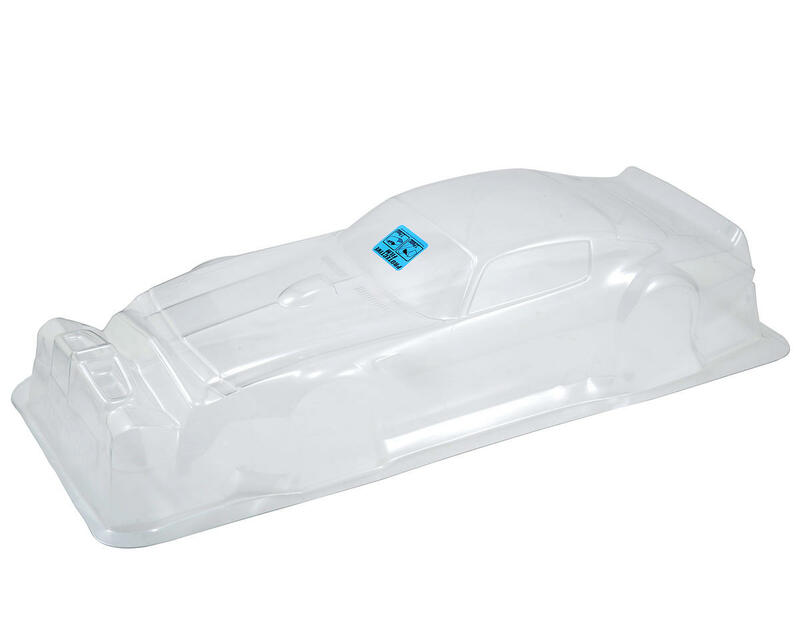 The clear body comes with protective overspray film, window masks, detailed decal sheet that lets you choose to style your Firebird as a full-blown race car, or head-turning street machine.